Unfortunately, this is where many students halt the learning process. But for long term retention and application of the information, it’s probably not enough. Here’s why. In case you hadn’t already noticed, anatomy is a pretty huge subject. There is a heck of a lot to learn. The problem is: before you’re actually working as a doctor, the information can seem a little irrelevant to life outside of the classroom. After all, knowing the afferent and efferent pathways of the glossopharyngeal nerve won’t help you to tie your shoelaces, doesn’t seem relevant to remembering your mum’s birthday and probably won’t remind you to drive to the shop to pick up a loaf of bread. All this combined can leave you, post exam, frustratedly struggling to remember the anatomical knowledge you spent so much blood, sweat and tears learning just mere weeks before. Here’s the thing: it is only once you begin applying and attributing meaning to your newfound anatomy knowledge that you can truly retain it. This approach is the most surefire way to make the information stick for good. It’s what the go-to anatomy resource Kenhub call holistic learning, and what enables hundreds of thousands of their customers to ace their anatomy exams every year. The Deep Route – This technique helps you to build a deeper foundation for the specific knowledge you want to learn. Let’s say you are learning about the bronchioles. Ask yourself why these structures are so important for everyday function. What would happen if they were damaged? And how was their function discovered? Which pathologies might affect this function? This will work to expand your web of knowledge and give the subject a wider meaning. The Lateral Route – This technique allows you to branch out and connect the topic with those that are similar. Try comparing the bronchioles with other anatomical structures. Consider: Why are they narrower than the bronchi? How do they enhance respiratory function? What structures lie adjacent to them? And so on. The aim of the game is to find similarities and differences between structures that are not immediately obvious. Ideally, this will give you a really clear picture of what a structure is and is not, preventing you from confusing it with something else further down the line. The Vertical Route – Perhaps most fun and effective of all, the vertical route gets you relating your topic to aspects completely unrelated to anatomy. For example, you could compare the bronchioles to the smallest twigs on a tree branch, helping to cement their form with a familiar image in your mind. But how are the bronchioles, and the wider respiratory system, different to a tree? What about their tissue layers – what do they remind you of? This route is very effective because it allows you to relate a foreign anatomical structure with something you are very familiar with. So, now that you know that attributing meaning and application are the secrets to retaining your anatomy knowledge, let us go back to our earlier example. I mentioned that anatomy doesn’t have much relevance to everyday activities like tying your shoelaces, or remembering your mum’s birthday, or driving to the supermarket. But is that really true? As you bend over to reach your laces, consider which muscles are having to flex or extend. Where in your limbic system is most active as you suddenly remember that you haven’t bought your mum a birthday card? 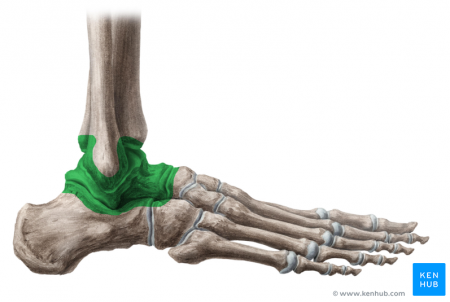 What are the bones comprising the talocrural joint you use to plantar flex your foot towards the brake pedal? The truth is, anatomy is relevant to everything you do. And your knowledge of it certainly shouldn’t be stored away in your hippocampus within a discrete box. As nerdy as it sounds, the simple act of associating anatomical form with every day function is a great way to consistently apply and retain your knowledge. Now that we have discussed the importance of the holistic approach when learning anatomy, let’s discuss the importance of a holistic approach when it comes to learning the subtypes of anatomy. There’s more to anatomy than gross anatomy. There is also histological and radiological anatomy to consider. Each of these subtypes confer unique and distinct advantages to you when learning about the intricacies of the human body and later applying this knowledge in practice. Neglecting any one of them will very likely hinder your holistic understanding. Being able to transfer your gross anatomy knowledge to the visuals you see on a histology slide, CT scan or MRI is the final skill of the anatomy master. Indeed, these are all formats that you will come across in the hospital. Once you have learnt about all of the structures in the human body, you begin to learn about the clinical information that correlates with them. Thus, it is essential that you are able to competently apply your anatomical knowledge to the patient and their results. Whether it’s identifying a squamous cell carcinoma on a histology slide or an acute ischaemic stroke on a CT scan, your anatomical knowledge will serve you every step of your career. At Kenhub, medical students are prepared for clinical practice with all of the above. Their gross anatomy (including cross sections and neuroanatomy), histology and medical imaging sections support the development of strong and competent doctors across all years of medical education. Using Kenhub provides you with more than one way to reach your goals, and that’s why internationally they are the go-to online resource for learning anatomy. With a full colour anatomy atlas containing thousands of beautifully illustrated structures and in-depth articles covering everything from anatomy and histology, to pathology, education and learning strategies, their tools make it hard not to enjoy learning anatomy. If text based learning isn’t for you, professionally produced anatomy and histology videos will have you learning in style with the click of a “Play”’ button. 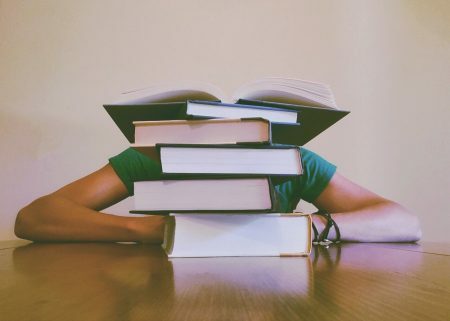 Quizzes are available to guide your learning at every stage of your education, from simple structure identification quizzes, revision quizzes and customisable quizzes to clinical question bank quizzes just like the ones you’ll see in your exam. And if you’re stuck, Kenhub have a 24/7 support team on hand to answer any of your questions. Best of all, you get all of this up front and automatically adapted to work on desktop, tablet and mobile. So, seriously – what are you waiting for?! Sign up for your account today, and get ready to breeze through anatomy. GUMS Plus and GUMS Gold members are eligible for a 20% discount on Kenhub Premium. Contact GUMS via our Facebook page to redeem your discount.